Assuming that he got roughly the same salary for all seven years, Zuma made a total of at least R17.5 million during his tenure. Seriously though, for Zuma's own sake it may be a good idea, "as a gesture of transparency", for him to instruct the people managing his finances to make this available for scrutiny. 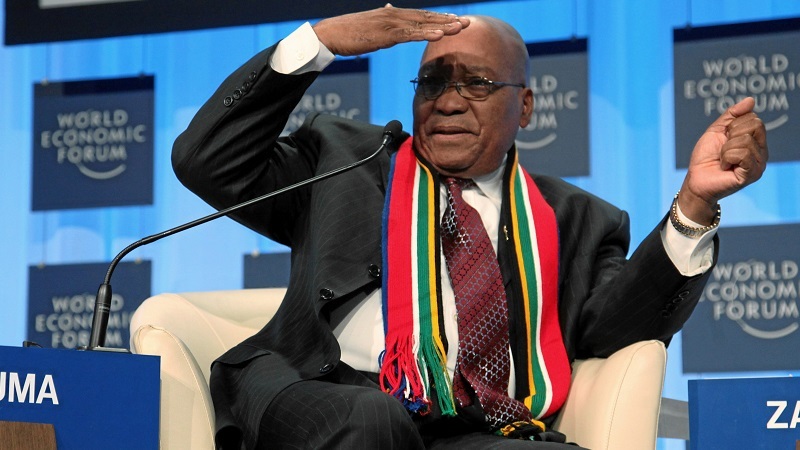 JZ may be shocked to discover where the funds have gone. You can be sure there is a long line people that have been taking advantage of the well-known fact that he is numerically challenged. Also, in reference to the "items covered by the State", that is sufficiently vague to allow for several hundred thousand in additional income. Personal support staff - I'm willing to bet these are all family and friends, who do the barest minimum to "earn" this income. Air travel and accommodation - we all know how easy it is to abuse that. Cellular phones for spouses and their secretaries - seriously? I suppose get "replaced" or "upgraded" every couple of months - nudge, nudge, wink, wink, say no more. IT equipment - that is a hole similar in size to the one in Kimberley. So often I see laptops that are apparently high-end and purchased for upward of R30000, but when delivered to me for repair turn out to be entry level Celeron units with 2GB of RAM. Mmm... makes you wonder. The last one is the most hilarious - incidental expenses during official journeys??? We all know what that really means, but one can't have bills for strip clubs and prostitutes on the credit card now can we?